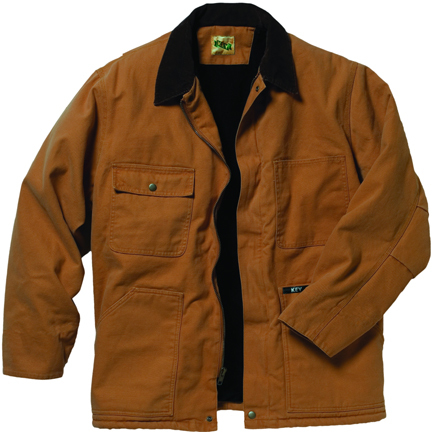 The coating that helps make this cotton duck water resistant workcoat dry, will also repel dust and make it easier to brush clean. Great for carpentry, cause it will shed all that sawdust, before you go into your house. Lots of pockets for lots of stuff. Wear it more open, to keep the chill off your back, or close it up for those colder days.